Motu Motiro Hiva is a tiny speck of land 260 miles to the east of Henua. Its name reflects the traditional worldview that divides the earth into Henua (the island) and Hiva (all other lands across the sea). Motu Motiro Hiva means "Island on the Way to Hiva"-- separate from Henua, but not quite as far as the Parts Unknown. The islet consists of two rocky lobes, altogether only 1,000 feet long at low tide, a mere 250 feet at high tide. It is much too small to support a permanent population, but it is an important hunting and fishing area for the Henua people. At certain times in the year, the island overflows with birds, whereas many bird species have avoided Henua proper since the human population rose in the twelfth and thirteenth centuries. Henua fishermen and hunters make several trips in motorized outrigger boats throughout the summer. In addition, the seven mata, or clans, race to the island evey year in late November or early December in traditional canoes. The race is a major event-- the king always sails with his clan, and the race's opening is one of the chief festivals of the summer. Motu Motiro Hiva is also used as a small penal colony for permanent or temporary exiles. Currently it is empty, though between c. 2005 and mid-2010 it was inhabited by two Henua and two Japanese men convicted of murder. The seasonal fishing parties bring the convicts supplies. The 1980 memoir Fifty Thousand Hours and the the 1984 film based on it describe the experiences of one Japanese convict's five-year sentence on the island. Henua sailors have undoubtedly been hunting and fishing on Motu Motiro Hiva for centuries. In the 1100s-1200s, the islet became a necessary source of food for the Henua as their home island became more crowded. 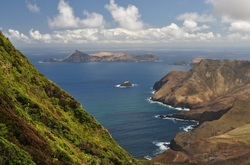 Castilian explorers Jose Salas Valdes and Jose Manuel Gomez charted the island in 1805. In 1876, Japan, New Granada, and Henua signed a treaty securing Henua's independence. The treaty also guaranteed Henua sovereignty over Motu Motiro Hiva. In 1878, as a sign of his rule over the island, the king led a voyage to build a moai statue and a symbolic stone royal house on Motiro Hiva. Japan built a lighthouse in 1890, maintained by convicts to this day. The moai, house, lighthouse, and barracks were refurbished in 1975 to observe the centenniel of the treaty. The entire area of Motu Motiro Hiva is owned by the king; in practice this means it is government property. The government strictly controls fishing and hunting on the island. Under the terms of the 1919 treaty ending Japanese protection over Henua, Japan has substantial hunting, fishing, and whaling rights around Sala y Gomez. The Japanese must follow specific sustainability guidelines, however, and may not make use of the island during traditional Henua hunting and fishing seasons. 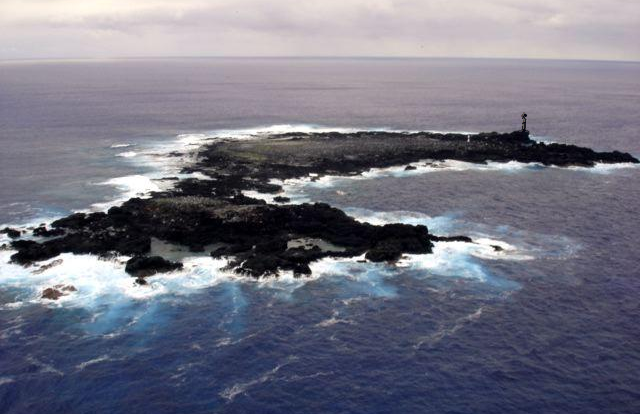 Japan also has the right to send convicts to the island with Heua's permission. Japan, New Granada, Chile, and the other Pacific-coast South American nations have research rights on Motu Motiro Hiva, within certain limits. The Ecotopic Republic of Oregon has recenty been pressuring Henua to turn the entire island into a wildlife sancuary, but this would disrupt traditional Henua hunting and fishing patterns, as well as deprive the Henua of an important source of resources. Even farther afield from Henua are Ña Motu Roaroa, the Very Distant Islands, commonly called the Roaroa Islands. Their Castilian name, Islas de Juan Fernandez, comes from the explorer who discovered them. Much closer to Chile than to Henua, they have been the cause of a number of territorial disputes over the years. When Juan Fernandez came upon the islands in 1574, he found a small settlement of Henua sailors living there. This was Henua society's first contact with Europeans, though it does not seem to have amounted to much. In the 17th, 18th, and 19th centuries the islands were home to similar temporary settlements of Henua fishermen, Castilian exiles, and pirates, seal hunters, and naturalists from many countries. During these centuries, the royal governments of both Henua and Castille had assumed Roaroa to be in their own territories, though neither did anything with them. Chile claimed the islands upon independence, but likewise did nothing at all to back up its claim. When a royal expedition arrived in 1878 to build a moai and signal Henua's sovereignty, it provoked a long dispute. Chile did not recognize Henua's claim until 1961. The islands have become something of a tourist destination, though not as popular as Henua itself. Roaroa now has a permanent population, about half Henua and half South American. Between late 1949 and early 1950, Henua troops contributed to the ANJAC occupation of China following the Second Great War. Henua, like other allied nations, was temporarily given control of an occupied zone: the Cantonese city of Jæqziæq (Yangjiang)* and surrounding countryside. The region was part of the zone assigned to the Province of English Australia, and EA bore ultimate responsibility for it, but Henua troops were actively in charge of the city for those months. Even a small city (for China) would have been too much for Henua's army to occupy had it been belligerent, but the region was generally peaceful, and the small Henua force got along remarkably well with the locals. In addition, the troops were supported by an Australasian-run supply and communications network centered on the Canton metropolis. Canton being perhaps the most pro-Western Chinese region, it was granted independence as a republic before the year was out, and the Henua were no longer actively running things by the end of 1949. They had pulled out of the city completely by February 1950. Henua troops remained in China for a little while after as part of the international ANJAC force, for the most part near Canton city. Years later, in 1980, King Tumaheke III visited Jæqziæq to remember the aftermath of the war and the speedy transition to peace. As a sign of the continuing friendship between Henua and Jæqziæq, a small mo'ai was placed outside the city government building. During the few months of occupation, Henua forces used the royal flag, sometimes defaced with a yellow vertical bar at the fly. The yellow came from the Imperial Chinese flag and was simply used to denote China. * Why such a strange spelling for Yangjiang? Cantonese uses a Romanization scheme that is all its own, though it ultimately was derived from Danish and Icelandic.